What are the best PS4 games you can beat in a day? With time so precious in this busy world, there is often far less opportunity to game than most players would like. But don’t worry, the PlayStation catalogue has even the most time-constrained gamer covered. What follows are ten fantastic PS4 games that you can complete in an afternoon or less. ABZÛ has been dubbed the underwater version of Journey for its similar art style, lack of dialogue, and steady progress through calm and tranquil environments. It’s perhaps more of an experience than a video game, but submerging yourself in ABZÛ’s underwater worlds leads to a wonderful few hours spent swimming in a series of colourful marine habitats. Not only is the game beautiful, but sandwiched between its artistic graphics and powerful soundtrack is a surprising story. 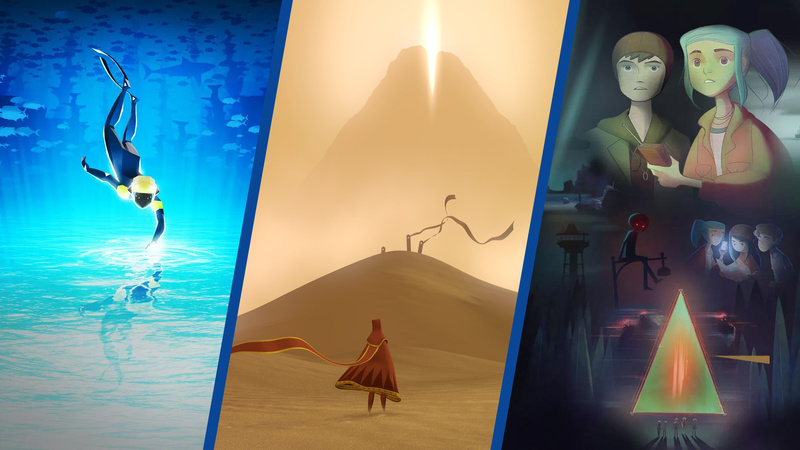 ABZÛ may be one of the shortest games on this list, but it still deserves your undivided attention. Everybody’s Gone to The Rapture is a is a walking simulator involving strange lights in the sky. A small English village and its residents have mysteriously disappeared, and it’s up to you to explore their empty houses to find out why. The main pull of the story is reliving the memories leading up to the mass disappearance, but exploring every nook and cranny of each beautifully-rendered building is just as compelling. 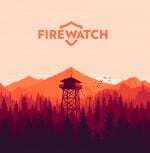 Perhaps one of the most visually appealing games on this list, Firewatch captured the hearts of the community back in 2016 with its emotional story and impressive graphics. After tragedy strikes, Henry escapes to the lush forests of Wyoming to become a forest lookout, but his new job involves more than just paperwork and bird watching. With a perfectly paced story and heart-stopping revelations, Firewatch is the emotional sucker punch your afternoon needs. It’s always tricky to create a novel twist on the long-established platformer genre, but The Voxel Agents have managed to do just that with The Gardens Between. This indie is presented as part puzzler, part adventure where you control not the two protagonists but time itself. It’s an alluring structure and one which continues to surprise until the final credits roll. 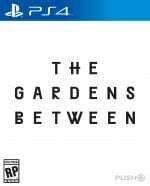 The Gardens Between is more than just a clever puzzle game, it’s also a touching tale of growing older, leaving behind childhood friends, and the inevitable passing of time and the power it has change everything. If you’re looking for a side-scrolling puzzler with a twisted narrative and great graphics look no further than PlayDead’s Inside. This monochrome adventure follows a young boy as he wanders into a mysterious laboratory, apparently intent on infiltrating some sort of dystopian nightmare. Inside is fuelled by fiendish puzzles, wonderful graphics, and the niggling feeling at the back of your mind that all isn’t what it seems. This is not only one of the best short games on PS4, but one of the best games full stop. Great article, Rebecca! I love quite a lot of these games — particularly Edith Finch, Inside, and Rapture. Really good list Rebecca. I loved Inside even though the ending is as bemusing as it is unforgettable. I'd probably add the Titanfall 2 campaign. It's amongst the best FPS story modes ever and it can be played through in 6-8 hours. What an unusual list. Haven't played a bunch of those, gonna give'm a try! I think I have many of these games on my Wishlist...err...elsewhere! I have been putting my nose to the grindstone with some long games. I think it’s time to look into some shorter titles to check off my list and change things up. Maybe I will buy Everybody’s Gone to Rapture or Abzu sometime soon. I've disliked almost all of these games that I've tried. Although I am curious to try Edith Finch and Inside someday. Anyway, you can add Spyro the Dragon when the remastered trilogy releases. I've comfortably cleared that game in an afternoon several times in the past on my PS1. I think it's great that there are games like Journey that you can complete in a few hours and potentially have your view of what games can offer altered. @Ralizah Definitely give Edith Finch and Inside a go. They're two of the best games on this list. Dark Souls in a day, git gud boys. Good article. I've played almost everything on that list, so next I might try Planet of the Eyes. I played through most of these. Inside is one of my all time favourite games! Hyper light drifter is another indie game which is beatable within one day if you skip the extras. The thing that near enough ruined Rapture for me was the terrible autosave the game had. The pace is incredibly slow and the game only saves itself at specific points with no manual save. Most of my gaming is done in the evening and I had a few sessions with the game where my options were to keep going for an unknown amount of time to hit a save point or lose everything I’d done. LOL! I was sure this was a new list designed to put Journey number 1. What with it being dethroned from the top of your overall best PS4 game list. I definitely finished Life of Black Tiger in a day. I don't know how it didn't make the list. 2064: Read Only Memories can be played in a day and you even get a trophy for completing in one go. I've just finished it and thought it was great. Great read, can't recommend Firewatch & EGTTR highly enough. Ive owned Journey twice (bought it on PS3 and got it on Plus for PS4) haven't played it yet don't know why it looks amazing! @R1spam Thanks for mentioning Virginia. If it had been present, I would've been able to say that I've played two from the entire list but, as it stands, I can only claim one - Firewatch. 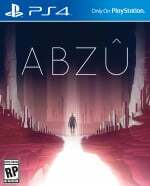 ABZÛ and Everybody's Gone to the Rapture are on my "one day soon" list, for sure. Good job Push Square! The list I’ve been waiting for! Unfortunately I’ve already played most of these, but I’ll take the recommendation for Old Man’s Journey and Planet of the Eyes. I’d recommend The Unfinished Swan, and I liked The Bunker. And The Order 1886 can be done in a day and is quite good. Edit: @gingerfrog beat me to it. Sorry, didn’t see you’d mentioned The Order. Undertale and Jazzpunk say hello! Great list, even if I didn’t like Rapture. I really love Journey, it’s so unique, and I would include The Unfinished Swan. Edith Finch was great. I’d honestly add Mega Man 11 to this list - it’s way better than I expected it to be. I like most of these games. But I'd add Virginia to the list because it's ace, and I'd remove Oxenfree from the list because it's cack. @Ralizah Inside is awesome. I've only just started the likes of Firewatch and Edith Finch but they seem interesting. @johncalmc Haha that's funny, I've heard amazing things about Virginia but I've never actually played it. Thanks for reading! @tomassi Inside is one of my absolute favourite games, the story is so cleverly unravelled and the entire thing is coated in mystery. Edith Finch is another personal favourite and Firewatch has phenomenal voice acting. @ztpayne7 Nice! I've not personally played any Mega Man games but I'm intrigued now! @PS_Nation I think that Giant Sparrow are such a creative games developer, I love all of their games but What Remains of Edith Finch is my overall favourite. Thanks for reading! @RebeccaStow97 I really liked it. It's a bit Twin Peaksy but it's got a really interesting presentation style where nobody speaks and you have to suss out what's going on yourself. @R1spam The more I hear about Virginia the more I want to play it! That's why I wanted to write this list as I wanted some recommendations from the community about the shorter games that I might not have played. @johncalmc Sounds like every other indie game I've ever loved! Must pick it up soon! @ShogunRok That's part of what drew my attention to Journey, so many people take a different view on the game and it's great to dicuss with others. @brendon987 Best way to pass the time! @RebeccaStow97 I'm not quite finished with Inside yet, to be fair. I got to one puzzle which stumped me and then other stuff came up. Can't wait to get to the end to see what it's all about though! Awesome List great job! A few of these games I don’t have, might need to pick them up! @RebeccaStow97 it’s probably the most accessible one in the series due to 4 difficulty options and naturally being a little easier. I played the second highest difficulty and it was easier than most of them due to some abilities you can buy. I’m sure it’s more forgiving on the other difficulties, too. If you re-map the buttons, there’s also a rapid fire button that is really helpful. 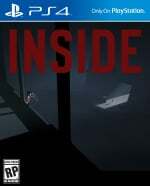 Inside is a truly amazing, memorable game, and completely nuts too (especially the final act). @RebeccaStow97 @RogerRoger I've got Sammy and bonobonetti to thank for pointing me in that games direction. Cheers for the list again, the gardens between looks good, on the wishlist for the right sale! !